Rajinikanth's Kaala has entered the second weekend after making a collection of Rs 136 crore at the worldwide box office. Rajinikanth's Kaala has completed its first week on a decent note in Tamil Nadu and a few other overseas centres. The movie has entered its second weekend with a bang with the hopes of doing good business. Kaala was released in over 2,500 screens worldwide to a decent hype. Like Rajinikanth's earlier movies, this flick had not generated huge buzz and the advance booking for tickets gained momentum only a few days before the release, once the flick landed in trouble in Karnataka. 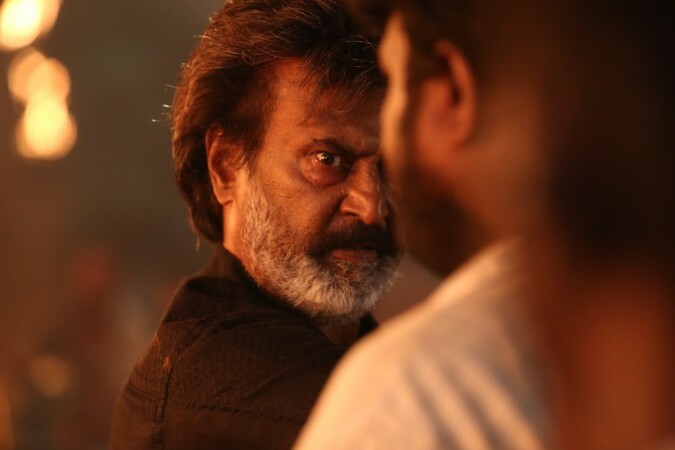 As a result, Kaala managed to register a good opening at the worldwide collection although the collection was no match to Rajinikanth's previous film Kabali. Kaala minted Rs 40.7 crore at the worldwide box office on the opening day. Except for Tamil Nadu, the business was no par to Kabali in all most all the centres – in India and overseas. The Pa Ranjith-directorial opened to positive reviews, which translated to a decent collection in its first weekend. Kaala raked in Rs 112.2 crore at the worldwide box office in its 4-day first weekend. In the weekdays, the collections substantially dropped across the world except for Tamil Nadu. The movie has approximately collected Rs 136 crore at the worldwide box office. The worldwide theatrical rights are valued at Rs 165 crore. Pa Ranjith's Kaala is a political drama which has Samuthirakani, Nana Patekar, Anjali Patil and others are in the cast. Rajinikanth enacts the role of messiah of slum-dwellers in Mumbai. How he saves his land from being encroached by the powerful politician forms the crux of the story.